Sencha is making a big bet on HTML5. The company, which was formerly known as Ext JS, raised a hefty $14 million round led by Sequoia Capital in June. Since then it has been perfecting its HTML5 framework Sencha Touch — a framework that lets you build mobile web apps for iOS and Android that feel almost native and are also cross-platform. And today, the company is adding another big addition to its product suite: Sencha Animator. The application is available for Mac, Windows, and Linux. It’s still rough around the edges — this is a beta release, and additional features, like a gradient maker, are still in the works. It also doesn’t support some major browsers like Firefox yet (Sencha says that Firefox hasn’t implemented support for CSS3 keyframes). 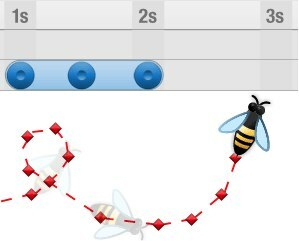 You can see some demos of HTML/CSS-based animations at the bottom of this page. Sencha will be selling a standard version of Animator for a price in the “low hundreds of dollars” for each user. This also obviously has a big appeal to advertisers — Sencha will be offering a version with additional functionality specifically for them. Sencha isn’t the only company building HTML5/CSS3 based tools. Adobe is also hard at work on its own products, including a HTML5-editing tool called Edge (which hasn’t been released yet). 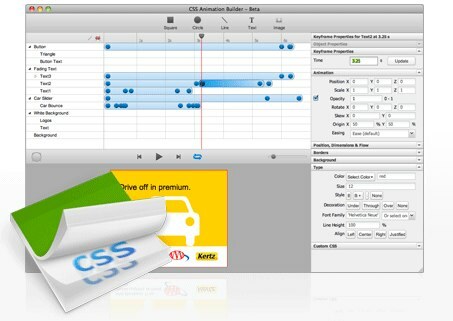 In the advertising space, Sprout offers Advine, a tool for authoring ad creative that supports both HTML5 and Flash.